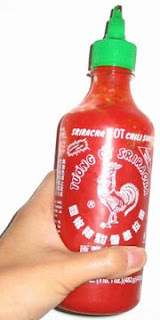 The things you learn because of the power of hot sauce are sometimes amazing. As I was settling into my Mongolian cow for lunch today my pre-eat preparations caught a coworker off guard . "Wow you sure put a lot of Sriracha sauce on your food!" Damn right I do. She went on to exclaim that she cannot handle the spicy food, but she did inform me of a very awesome mecca for spice in Oakland and it's called SPICE GIRLS!!!!! The caveat is that this is the translation from Chinese to English and she is unsure of the English name for the place. Also she could only give an approximate location. I have sent her out to do some recon as I refuse to rocket up and down the streets of Oakland on a mission to find a restaurant whose name is in a moon language I do not speak. Even in the name of spice I will not do this. 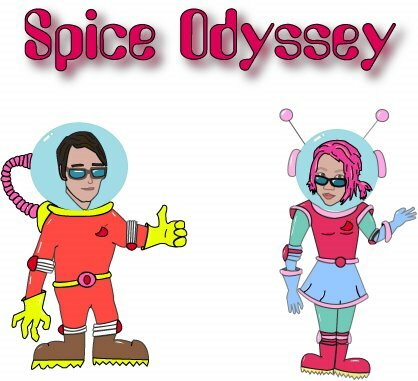 We could be on the cusp of a great spicy adventure! More to come.